Now that no one uses Dial-Up and we can all watch videos without needing to buffer them for twenty minutes beforehand, it’s little wonder that video content is becoming the new big thing in online marketing. Before you rush off to jump on the video bandwagon though, it pays to stop and think about why your business needs video content, and exactly what that content needs to entail. After all, who’s going to sit back and watch a 2-minute video that’s disorganised, doesn’t teach them anything or is just simply boring? Storyboards aren’t just for filmmakers and cartoonists! Planning your video out step by step will let you get a clear picture of the content, before you’ve actually spent time making it – there’s nothing worse than pouring resources into a video, only to realise at the end of it that you need to go back and re-do parts! Define the purpose of the video – will it teach visitors about a specific service or product range? Will it give information on your company history and background? Is its purpose simply to build up a brand, much like the cool extreme sports videos everyone now associates with Red Bull! Once you’ve got the purpose, work out what content you have already that can go towards it and what you still need to do. Perhaps even more important than the content (although that still has to be great) is the imagery you use. 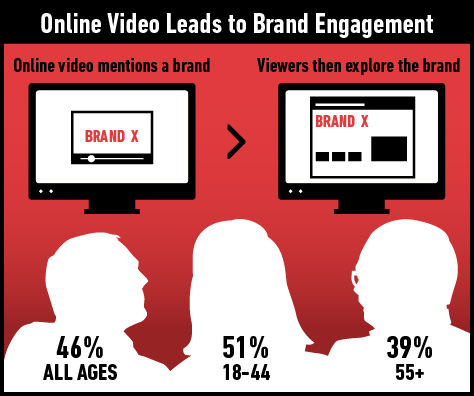 Video is by nature a very visual medium so half of what visitors will take away from watching your video is what they’ve seen, not what they’ve heard. Even if you’re a straight-laced, corporate business, a bland, ‘grey’ video may not be the best choice for you! Choose colours, images and footage that capture both your brand ethic and the message you’re trying to get across, in as interesting a way as possible. Coming back to point one, there’s no point creating a video if you don’t have a clear and specific goal in mind. This goal should be emphasised throughout the video, but just as you wouldn’t let a customer read a product description and then not find a ‘buy now’ button at the end of it, you shouldn’t have a video without an enticing call to action at the end. Finish with a flourish – summarise your key points and let the viewer know the next step, whether that’s visiting your website, clicking a link below or phoning you up!